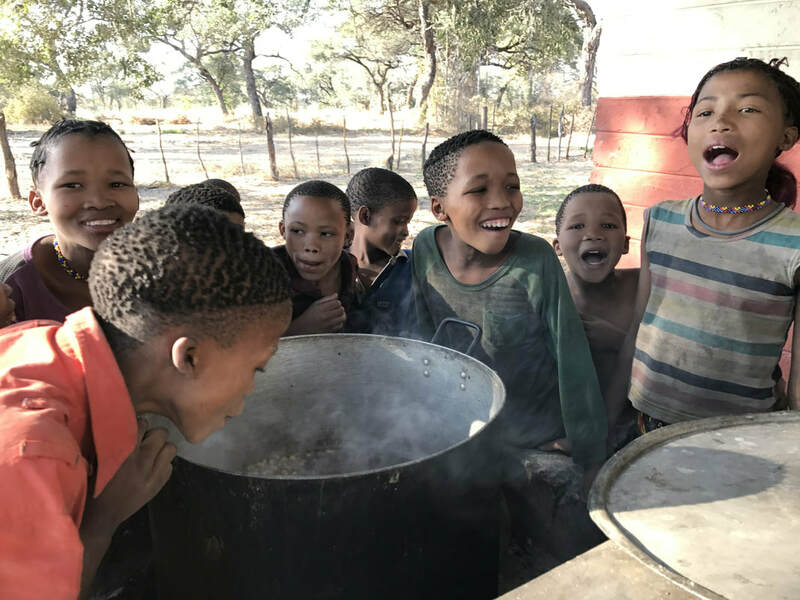 My project partner, Bruce Parcher and I, were able to deliver food to hungry school children in a remote village in north-eastern Namibia, in July 2017. Excited hostel boarder returned to the school at Nhoma, and tucked into their first school meal in months. And the best news is, there is plenty more where that came from, thanks to the generosity of donors around the world who helped me raise £5 000 to feed Ju|'hoan children. ​Mi wi i, 'we thank you', as the Ju|'hoansi say. 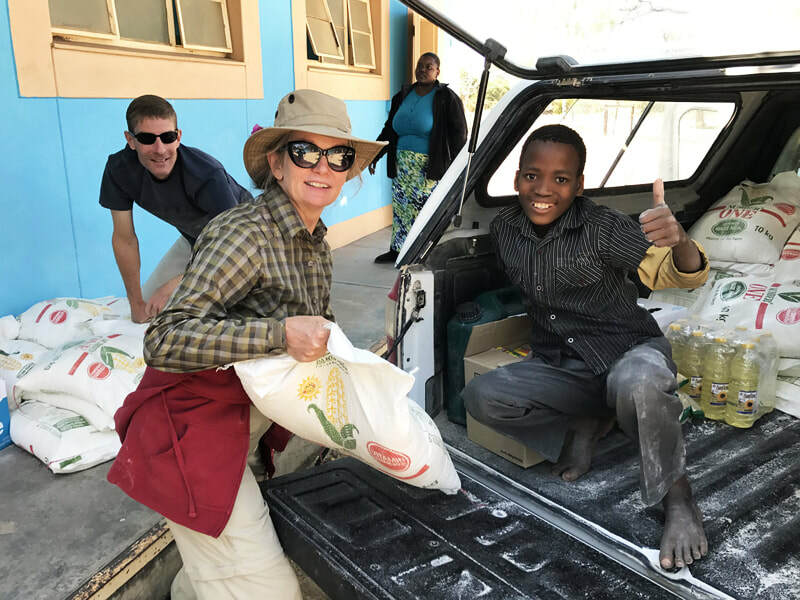 Candi Miller & Bruce Parcher deliver supplies for hostel dwellers at Aasvoëlnes (Vulture's Nest) school in north-eastern Namibia. As news of the delivery spread, more children returned to school from bush villages. Aside from running a Just Giving campaign, I had the support of my tango dancing community at a charity tea dance hosted by Tango Stoke. It was a huge success, and I hope we can do it again. As hostess, Essie Jo Jefferies, said: "Let's dance to change lives." Just when I thought it was safe for the kids to return to school, I learned from parents at Nhoma 2 village, that angry elephant are a threat during the 16km round trip. "Please help us make school here in our own village," they asked. ​Sounds like the goal for a future fund-raiser. Who's in?